Summer camps are special experiences for youngsters. 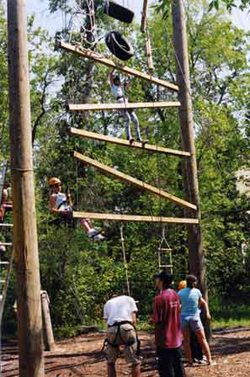 This grant helped to acquire a high ropes course. These daycares serve higher needs communities and neighbourhoods. All grants were for capital purposes. HI is redeveloping a former hotel as its new hostel. This grant helped in the renovations. Equestrian activities have proven to be therapeutic and motivating for children who are having problems in school. New equipment was purchased with this grant. This organization offers visitation and exchange services to dysfunctional and potentially violent families. A new buildng has been acquired.